Lofts In The 'Lou: State of the Market: 2011, Coming Soon! My annual market review is a pretty deal at LoftsintheLou.com, so what can I do to prepare. A day at the City Museum, of course! 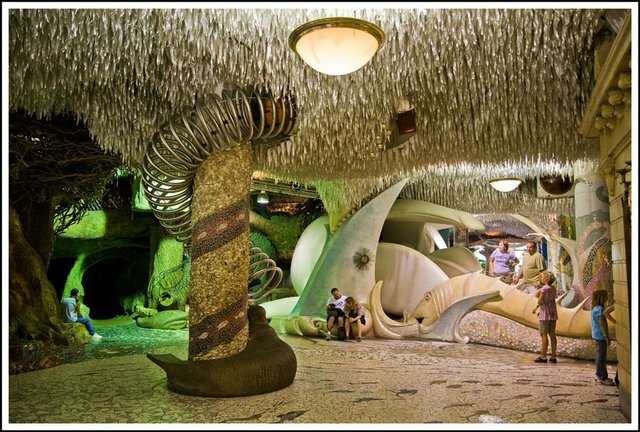 Other than several stiff drinks, nothing helps me to forget the real world better than hanging out with kids at the City Museum. Suprisingly, the real estate market is busy now. Usually things slow down quite a bit at some point between Thanksgiving and Christmas. This year we were running all the way up to the later holiday. Despite that, the idea of showing all the loft sales for the year makes me nervous. Back in the glory days of downtown real estate, I remember telling other agents that my seller's were "motivated". That's a generic way of saying they want to do a deal. I say that about all my listings. In reality, I didn't know what 'motivated' meant back then, when seller's were making money, selling lofts they owned for a few months or more. 2011 was the year of the motivated seller. Of course, being the year of the motivated seller wasn't all that bad. From 2008-2010 these same sellers may have been waiting to sell, and just rented their place out, or maybe went into foreclosure as they just didn't see the market rebounding quickly enough. In 2011 some St Louis loft owners just lost patience and decided to sell......whatever it took. Prices will reflect that. We've also seen some banks go this year. At the end of 2010, the bank that owned the remaining Dorsa Lofts went under and the FDIC took over where they left off in selling the remainder of the building. The FDIC is a motivated seller. Prices were slashed. They weren't messing around. The building was such a great deal, that it sold out quickly, which was good for the building and for Downtown. Some of the other bank owned sales were priced low. Too low. One that comes to mind was a 2 bedroom 2 bath in the Terra Cotta Lofts that went on the market on July 3rd. Despite being on a holiday, the unit had 3 offers on it within days. It was priced a hideously low $124,900. I understand foreclosures, but that space had no business being priced that low. The rental market was the real hot spot in Downtown this year, with the completion of the Laurel and the Park Pacific. Adding several hundred new rental units to the Downtown St Louis market had very little impact on demand or rental rates. It did, as it always does, seem to give a shot in the arm to many of the Downtown businesses with more popularity and more residents. I anxiously await the opening of the National Blues Museum at 601 Washington sometime in 2013. The first event of the future Washington Avenue venue was last August and was a fantastic time! We had a staycation planned Downtown for that weekend, and had given up on the Cardinals for the year, so the Bluesweek was the high light of the weekend. Another hot spot for 2011, on a personal level, was being interviewed by the St Louis Business Journal, Post Dispatch and also for an article on "How to Buy a Loft" in Time. Of course, didn't I feel like a jerk when the Cardinals I had left for dead came back and won the Fall Classic? Talk about great events and a shot in the arm for Downtown. So as soon as we can close out the books for downtown real estate in 2011, look for my breakdown of sales for the year here at LoftsintheLou.com. For a quick look at what's available in the St Louis real estate market, including great deals on foreclosures, visit our new and improved site at www.4SaleStLouis.com.